One of the things we're most proud of here at the World Butchers' Challenge, is the support network that this competition has fostered. Much more than just an event, it's about learning, sharing and believeing in a greater good for the industry. Recognising that the future of our industry is in the hands of the next generation, the World Butchers' Challenge has proudly introduced the World Champion Butcher Apprentice & Young Butcher competition. 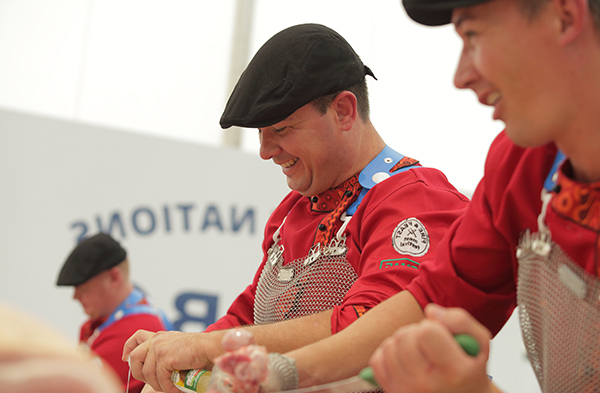 Both individual contests, Young Butcher contestants must be under 31 years of age and entrants into the Butcher Apprentice category must still be working through their trade apprenticeship at the time of competing. Modeled on the World Butchers' Challenge both groups of butchers have just two hours and fifteen minutes to break down a range of primal cuts into a display of pre-determined products and their own creations. In 2011, a butchery competition between New Zealand and Australia, named the Trans-Tasman Test Match, was established. Both countries nominated a team of their six best butchers, called the Pure South Sharp Blacks and the Australian Steelers respectively, and each were given three hours to break down a side of beef and a lamb into a themed display of value-added cuts. The inaugural competition was held in New Zealand, with the Australian team taking home the first title. The following year, the competition moved to Melbourne, Australia, with the host country once again taking home the title of the best butchers in Australasia. In 2013, a team of six from the United Kingdom made the long journey across the globe to Wanaka, New Zealand, to compete in the newly-titled Tri-Nation’s Butchers’ Challenge. It was this year which marked the beginning of a winning streak for the Pure South Sharp Blacks, as they were presented with their first trophy on home soil. 2014 saw New Zealand and Australia travel to Yorkshire, England, where they were enthusiastically welcomed by the British Beefeaters who were competing for their second time. The following year, the competition made its way back to New Zealand and was held in Auckland. A side of pork was also added to the list of cuts the teams were to break down. 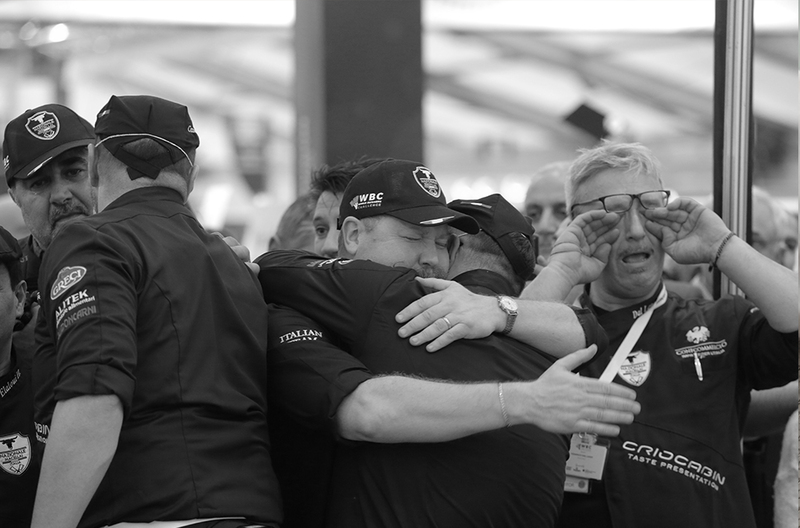 This competition, which was held in association with other industry events, was the biggest retail meat event to ever be held in New Zealand, and the Pure South Sharp Blacks lifted the trophy for their third consecutive time. Newcomers, France, stepped up to the plate in the 2016 competition held in the Gold Coast, Australia where it was renamed once more to the World Butchers’ Challenge. France, in their first year competing, took out the prestigious title with their innovative products and style. The competition grew to new heights in 2018 as it moved to Belfast, Northern Ireland and hosted 12 competing teams. Much to the delight of the host nation, they were hugely successful in their first year competing and Team Ireland took home the win, beating out New Zealand and Australia who won the silver and bronze medals respectively.